An electric toothbrush is the ultimate homecare plaque control instrument for cleaner, whiter teeth and healthier gums at every stage of life. 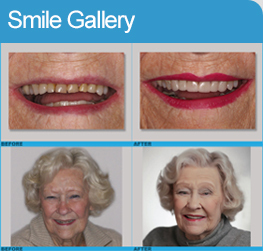 It is a professional solution provided to you by your dental team. Clinical studies have proven that power brushes are extremely effective in removing plaque, reducing stains, decreasing bleeding, cleaning braces and implants, and controlling gum disease. Previous studies have found the incidence of heart disease is about twice as high for people with periodontal (gum) disease, but until recently no plausible cause had been suggested. Now studies indicate that the most common strain of bacteria in dental plaque may cause blood clots. When blood clots escape into the bloodstream, they are related to an increased risk of heart attack and other heart illnesses. More than one half of the adult population suffers from some form of periodontal disease. This disease causes chronic inflammation of the gums and can cause seeding of bacteria from the gums to the bloodstream. A recent study describes the association between heart disease and gum disease to be at least as strong as the linkage of heart disease to cholesterol, body weight, or smoking. Mounting evidence relates gum disease to a variety of health concerns; some of these diseases are life threatening. By keeping regular recare appointments with your dental team and using an electric toothbrush to assist you with effective plaque removal, you help increase your chances for not only a a long and healthy life, but also a beautiful smile! Not all brushes are manufactered to the same standards, nor does every brush meet every patient's dental hygiene needs. Ask our professional team about electric toothbrushes on your next dental visit and we will be happy to help you determine the right brush for your needs.